If someone starts talking about the good old days of air travel, then that person must be reminded of the food that was provided in the old school airports. In the past, usually the meals that were found in the airport were a bar of candy or the people had to fight among each other to buy a cup of soda. But, nowadays there are a lot of options available in the different airports for taking the meal. Many good restaurants, that provides excellent foods and that have a wonderful ambience is present in most of the small or big airports in the U.S. The things that are offered by such restaurants and particularly the soothing ambience can make the passengers to feel a bit better after the long air travel or just before the flight. In spite of all these new facilities provided in different airports, there are still spaces for development inside the airports. 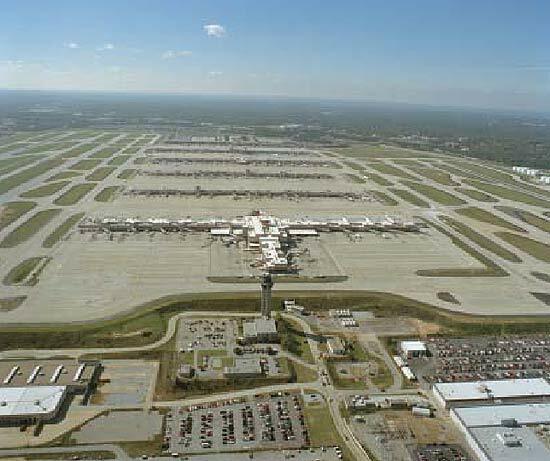 Well, some of the busiest airports in U.S that provides excellent food facilities are namely Hartsfield Jackson Atlanta International, the Chicago O’Hare International, the Denver International, the Charlotte Douglas International Airport, the Phoenix Sky Harbor International, the San Francisco International Airport and the Miami International Airport. Well, if someone is passing through the Hartsfield Jackson Atlanta International airport then he can easily buy a chicken sandwich from one of the local franchise namely the Chick-fil-A. The most popular restaurant in the airport’s terminal is the One Flew South; it is located in the terminal E. Pecan Dusted scallop, salmon bruschetta and the pork belly sliders are the chief food items found in this airport. If someone is passing through the Chicago O’Hare international, then he can easily stuff himself with foods from the several restaurants owned by Chef Rick Bayless. Guacamole, tortas and molletes are the chief food items found in this airport. Well, if someone is passing through the Denver International Airport and wants to get some fine food, then he can easily opt for the famous New Belgium Hub. No doubt that this restaurant provides excellent foods, but one must try out the beer because it has got a wide collection of excellent beers. If a traveler is present in the Charlotte Douglas International Airport and is feeling hungry, then he can easily stuff himself from the Brookwood Farms BBQ. This restaurant blends the pulled pork with Carolina barbeque vinegar sauce; this is the best selling food in the airport terminal. El bravo is the best restaurant to eat at in the Phoenix Sky Harbor International. The green chilly tamales are the best food item found in this airport. Cat Cora’s kitchen is the best restaurant found in the San Francisco International Airport. It is present near the gate no. 55 and it provides the travellers with food made from fresh and organic ingredients. Lobster Mac, cheese or baked jalapeno breaded with panko crumbs and steak tacos are the most famous food items found in this airport. Lorena Garcia Cocina owned by the famous chef Lorena Garcia is found in the outpost of the Miami International Airport. Shrimp ceviche, Caribbean jerk chicken and empanadas are the chief food items provided by this restaurant. Travellers can also get some drinks from the bar present inside this restaurant.